This is the last installment in a three-part series that asks why we need both an insurance industry and an ACO industry. We are now stuck with the worst of all possible worlds – an inefficient insurance industry layered on top of an inefficient ACO industry. I noted in Part I of this series that ACOs’ inability to cut costs explains why 90 percent of Medicare ACOs refuse to accept anything resembling insurance risk. In Part II I discussed ACO proponents’ expectation that many ACOs would accept full insurance risk, and I described the Medicare Payment Advisory Commission’s (MedPAC’s) reaction to ACOs’ inability to cut costs and their unwillingness to accept insurance risk. We saw that MedPAC attempted to design a plan called “premium support” that would generate competition between Medicare ACOs, Medicare Advantage plans, and the traditional Medicare fee-for-service program, and, after four years of trying (and even after dropping the FFS program from the project), gave up. In this last installment I review a nearly identical attempt by Minnesota’s Medicaid program to set Medicaid ACOs and HMOs on a level playing field. I will close with a prediction of where the ACO industry is headed. Within a few weeks after President Obama signed the Affordable Care Act, Minnesota’s then-governor Tim Pawlenty signed a bill containing ACO provisions lifted almost verbatim from the ACA. These provisions required Minnesota’s Department of Human Services (DHS) to implement an ACO program within the state’s Medicaid program. The legislation referred to ACOs as Integrated Health Partnerships (IHPs) (although DHS referred to them as ACOs in its communications with the federal government). DHS started the IHP program in 2013. Today 24 hospital-clinic and clinic-clinic groups participate. The smaller IHPs bear only upside risk, the larger ones bear both up- and downside risk. Nearly all of the state’s large hospital-clinic chains (Mayo, Fairview, Allina, HealthPartners, Essentia) have set up IHPs. But unlike Congress and CMS, which inserted ACOs inside the Medicare fee-for-service program (not the Medicare Advantage program), Minnesota’s legislature inserted the new IHP program inside the Medicaid HMO program. Minnesota’s legislature long ago gave DHS the authority to turn Minnesota’s non-disabled Medicaid enrollees over to HMOs; DHS completed that process in the late 1990s. Thus, when the legislature decided in 2010 to mimic Obamacare and insert ACOs in Minnesota’s Medicaid program, that program, unlike Medicare, consisted of a dominant HMO program and a smaller FFS program serving primarily the disabled (80 percent of Minnesota Medicaid dollars flow through the HMOs). Inserting the IHP program into the smaller FFS program was not a realistic option in 2010. The legislature’s only options were (a) to replace the HMOs with IHPs, or (b) to insert the IHPs inside the HMO program. The latter option made no sense, but the former option was never debated. The former option would have required the Minnesota legislature and Governor Pawlenty to ask, Why do we need ACOs/IHPs in addition to HMOs? But asking that obvious question never crossed the minds of the ACO proponents at either the federal or the Minnesota level. And so the legislature chose option b – IHPs were inserted into the HMO portion of the Medicaid program. DHS has attempted to deal with this dilemma with a proposal that resembles MedPAC’s premium support proposal. DHS proposes to disentangle the IHPs from the HMOs and harmonize the payment methods for IHPs and HMOs (that is, set the two sectors on a level playing field); it identifies numerous complex issues that would need resolution; and it offers very few details about how DHS thinks those issues could be solved. To add to the complexity, DHS limited the proposed experiment to the seven-county Twin Cities metro area. DHS published this proposal, which it called “Next Generation IHP,” in the form of a Request for Comment (RFC) last November. The separation of the IHPs from the HMOs is the most fundamental change proposed by the RFC. DHS proposes to do that with two new requirements: “Primary care exclusivity” (primary care doctors would have to choose between contracting with one IHP or with one or more HMOs); and gatekeeping (Medicaid enrollees would have to enroll with one primary care doctor). With the IHPs thus disentangled from the HMOs, DHS would then subject the IHPs to a method of payment very similar to the one DHS now uses to calculate per-enrollee payments to the HMOs. These reforms, plus oodles of allegedly accurate quality information for Medicaid enrollees that would allegedly enable smart “shopping,” would in turn trigger real competition. And real competition – not competition on who can avoid sick patients – would, at long last, determine which HMOs and ACOs are the most efficient. DHS’s Request for Comment elicited a cacophony of criticism. Seventy-four people, representing all sectors of the health care system, posted comments covering multiple issues and filling up more than 400 pages. The vast majority of the comments were either critical or made suggestions that DHS couldn’t accept without radically altering its proposal. The commenters directed most of their criticism at DHS’s “primary care exclusivity” rule, and the fact that DHS cannot risk-adjust payments accurately enough to prevent providers who treat sicker patients from underpayment. Commenters saw the “primary care exclusivity” rule as disruptive and expensive (because it would require DHS to spend a lot of money educating Medicaid beneficiaries on the necessity of picking not just one HMO or IHP, but one primary care doctor as well). The vagueness and complexity of the RFC also drew criticism. The four HMOs that now insure Medicaid patients in the Twin Cities area, and the providers who treat sicker patients, were the most critical of DHS’s proposal. The HMOs claimed they were already doing whatever it is the IHPs do and there was, therefore, no need to disentangle IHPs from the HMOs and force doctors to choose between the IHP and HMO sectors. Safety-net providers, notably clinics that specialize in addiction and mental health services, criticized DHS for proposing a payment system that will require accurate risk adjustment when accurate risk adjustment does not exist. They argued crude risk adjustment would harm the poor and the sick, both directly by underpaying the providers who treat them, and indirectly by encouraging HMOs and IHPs to exclude them from their networks. Motivated in large part by concern about bearing insurance risk in a world where accurate risk adjustment doesn’t exist, nearly all the IHPs as well as their sympathizers (the Minnesota Hospital Association, for example) urged DHS to be “flexible” and to let each IHP negotiate every important feature of its contract, including how many people it would enroll, the size and composition of its network, the services it would offer, and the level of risk it would bear. In other words, they wanted DHS to make the vacuous, aspirational definition of “IHP” even more useless. The preceding brief summary of the reaction to DHS’s RFC reveals only a fraction of the doubts expressed by those who reacted to the vague and extremely complex RFC. DHS seemed to get the message. In its February 20 reply to the 74 comments, DHS announced it was abandoning “primary care exclusivity,” which is tantamount to saying it was giving up on separating the IHPs from the four HMOs, the most fundamental “reform” proposed in the RFC. Obviously, the entire proposal is dead if “primary care exclusivity” is off the table. But DHS denied that. They said they intend to implement the proposal and “will continue information gathering … through the summer of 2018.” I don’t know what good more information gathering will do. It’s clear now that the efforts by MedPAC and Minnesota’s DHS to determine whether ACO magic is superior to HMO/MA-plan magic have failed. This is not to say MedPAC won’t some day tinker again with the premium support fantasy, or that DHS won’t make some minor changes to the current Minnesota IHP program and bestow the name “Next Generation IHPs” on the IHPs that conform to the changes. It does mean MedPAC and DHS have demonstrated what should have been obvious from the beginning: Real competition (as opposed to a race to the bottom) on a level playing field between ACOs and HMOs and/or a FFS program is not possible, and that in turn means we can’t expect competition to answer the question, Do we really need both an ACO and a managed-care-plan program within Medicare and Medicaid? And if ACOs refuse to take on full insurance risk, we won’t see competition settle this issue in the private sector either. So now what? Will inefficient ACO programs bumble along indefinitely alongside inefficient insurance industry programs within Medicare and Medicaid? That is the most likely scenario for the near term. And as long as Medicare and Medicaid funnel dollars into ACOs, private-sector payers will probably do likewise. The reason this is the most likely outcome is that evidence doesn’t matter in health policy. Our “thought leaders” and policy-makers behave more like a herd than a crowd of individuals thinking for themselves. The overpayment of Medicare Advantage plans and their predecessors for almost a half-century illustrates the problem. Since 1980, dozens, possibly hundreds, of studies have demonstrated that the insertion of HMOs (and later insurers of all stripes) into Medicare raised Medicare’s costs. But those studies have had little effect. The MA program sails along on auto-pilot. I do, however, see a few straws in the wind that could eventually lead to the abandonment of the ACO experiment. A small but growing number of health policy researchers are beginning to acknowledge that excessive prices, not overuse of medical services, is the primary reason US health care costs are double those of the rest of the industrialized world. If price is the primary problem, not excessive volume, ACOs are not the solution. Negotiating a uniform set of fees and prices, as Medicare does for its FFS program, is the solution. The ACO, like the HMO before it, was supposed to lower costs by lowering the volume of services, particularly hospital services, not their prices. Let us all do our part to encourage a shift in focus from volume to price. To the extent that we do attempt to reduce volume, we should employ specific services for specific categories of the chronically ill, not structures like ACOs and managed care plans that attempt to apply their crude quantity-cutting tactics to entire populations. Minnesota’s legislature copied directly from the Affordable Care Act. For reasons about which I can only speculate, Minnesota’s Legislature renamed ACOs “Integrated Health Partnerships” (IHPs). My speculation is this: Then-governor Tim Pawlenty didn’t want it known he was a fan of anything endorsed by the ACA (see this article on Pawlenty’s surreptitious endorsement of ACOs), and to conceal what he was doing he ordered his colleagues in the legislature to use the IHP label. Just a guess. The Minnesota legislature lifted ACO language almost word for word from the ACA. You can see the plagiarism in side-by-side comparisons of the language in the ACA and Minnesota law that defines who can start ACOs. The ACO language appears in Section 3022 of the ACA; the IHP language appears in Minnesota Statutes Section 256B.0755. (A) ACO professionals in group practice arrangements. 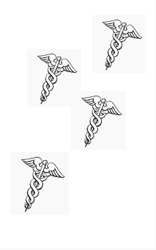 (B) Networks of individual practices of ACO professionals. (C) Partnerships or joint venture arrangements between hospitals and ACO professionals. (D) Hospitals employing ACO professionals. (E) Such other groups of providers of services and suppliers as the Secretary determines appropriate. (5) other groups of providers of services and suppliers as the commissioner determines appropriate. The 2010 Minnesota legislation authorizing DHS to create ACOs within Medicaid also authorized creating them within MinnesotaCare, a program for low-income people who make too much money to qualify for Medicaid. For the sake of simplicity, I refer throughout this article only to Medicaid. Minnesota requires insurance companies to qualify as “health maintenance organizations” if they want to participate in Medicaid. Currently four HMOs participate. They are Blue Plus (a subsidiary of Blue Cross Blue Shield), HealthPartners, Medica and UCare (an HMO started by the University of Minnesota in 1984 to protect its hospital and clinics from loss of patients to the older HMOs). Three “county-based purchasing coalitions” and one county (Itasca) also enroll Medicaid recipients in county-run plans. DHS proposes to subject IHPs to a combination of two-sided risk and partial capitation, while the HMOs would continue to be paid full capitation, aka premiums.